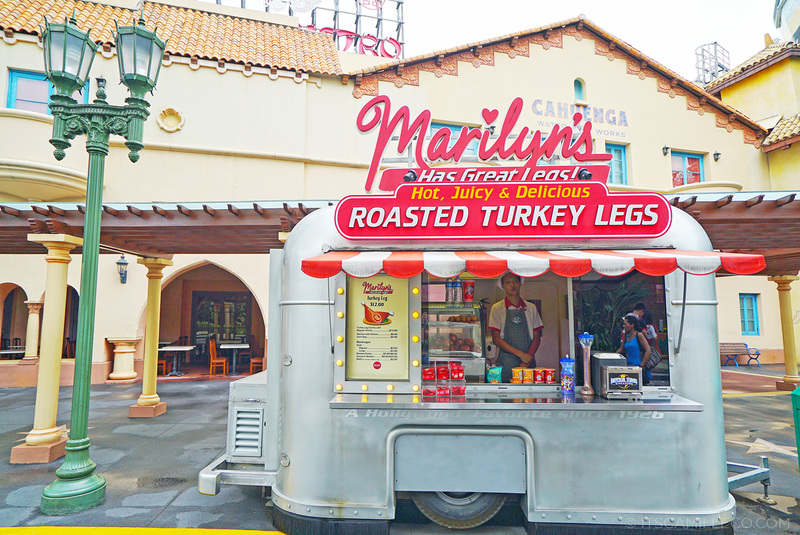 The last time I was in Universal Studios Singapore, I was with my blogger besties–most of which are theme park fans…except for one. She’s that friend who hates riding scary rides but is easy to get peer pressured so she ends up getting on the ride anyway and becomes the source of amusement for the rest of the gang. I’m sure you guys have a friend like that in your group too so you’d understand why we forced her to ride USS’ scariest ride–Battlestar Galactica. She dreaded that day to come but fortunately for her and sadly for us, we found Battlestar Galactica closed indefinitely when we got there. 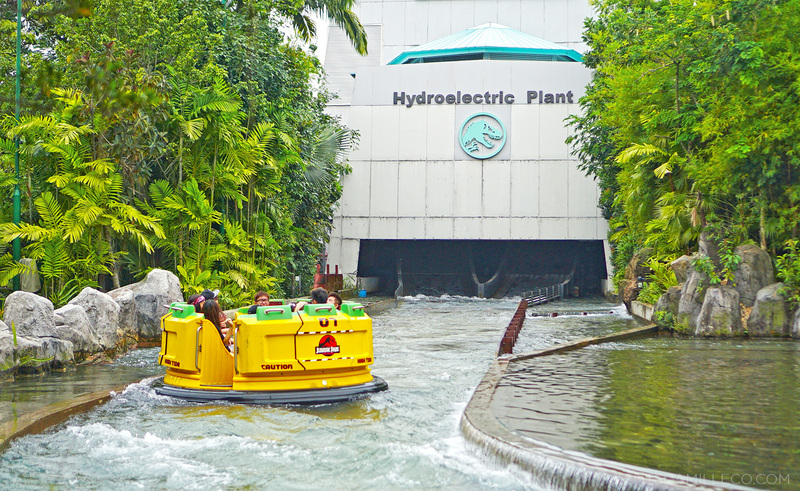 I remember feeling so disappointed because I thought the ride has been stopped for good. So imagine my joy when the good people of Resorts World Sentosa informed me I’ll get to ride Battlestar Galactica on this trip! Whoopdidoo! 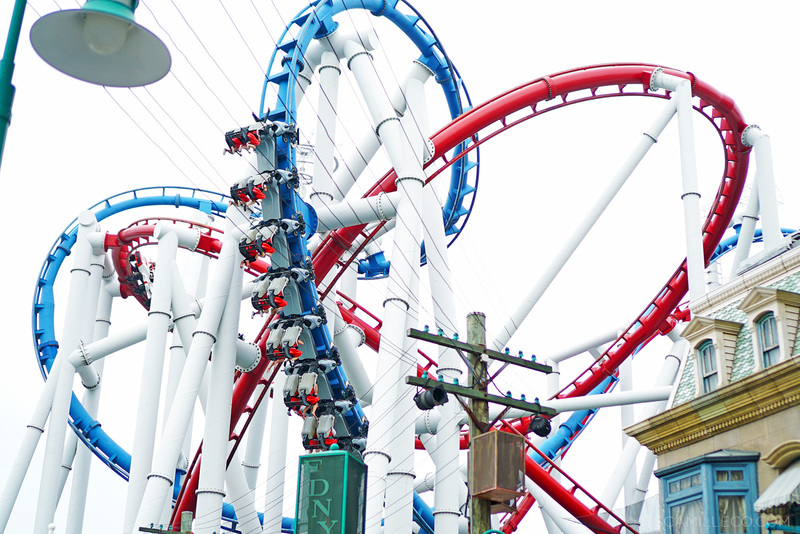 Just in time for USS’ fifth anniversary, the world’s tallest duelling roller coasters, Battlestar Gallactica: Human vs. Cylon, is back and better! 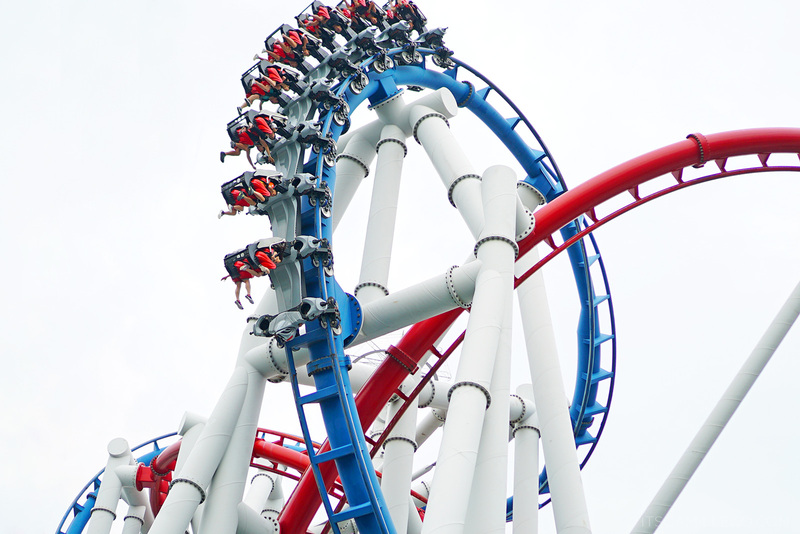 It now features new two-seater ride vehicles to give each rider a more intimate and personal experience, enhancing the feeling of speed and thrills. 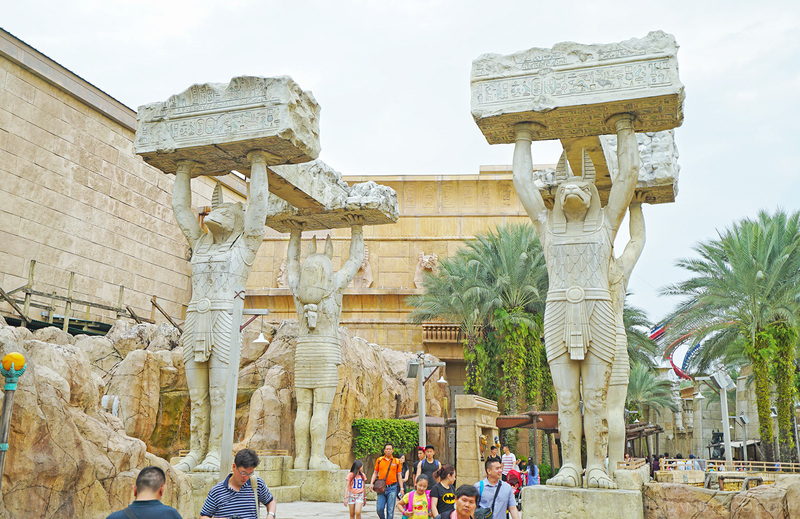 I’ve actually tried the old version of the “Human” ride, which was already scary enough so just imagine how much more thrilling this new one is. It’s as if everyone has their own window seat! 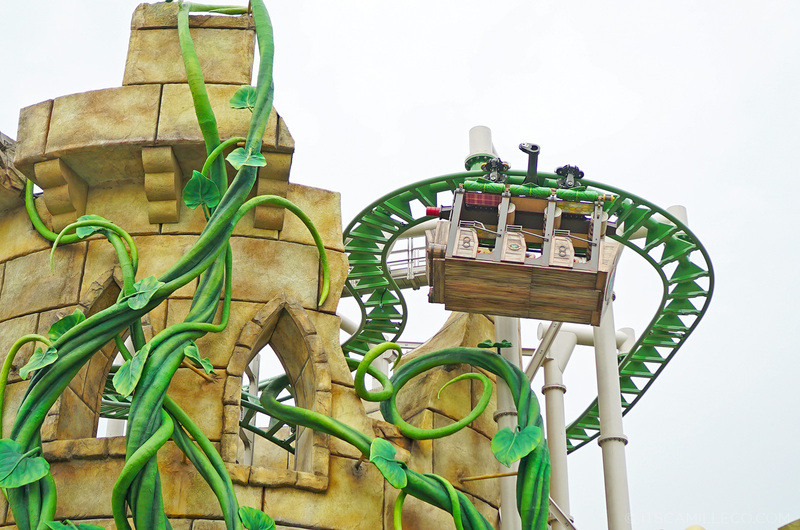 Anyway, so I tried the new “Human” ride first which is the conventional roller coaster. Survived it as usual. And then I got on the new “Cylon” ride after. 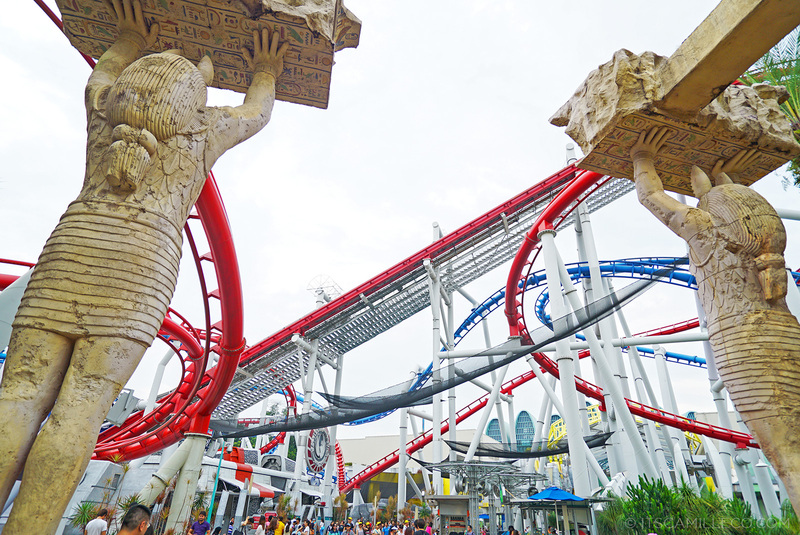 Take note, this was my first time to ride Cylon. I was about to chicken out because it looked hell of a lot scarier than “Human” with its suspended coaster design, but my co-blogger David encouraged (forced) me. I ended up loving it!!! I find it less scarier than “Human”, easier to rock. LOL. If you’re a rollercoaster newbie, trust me when I say loops are always easier than drops and turns. ALWAYS. 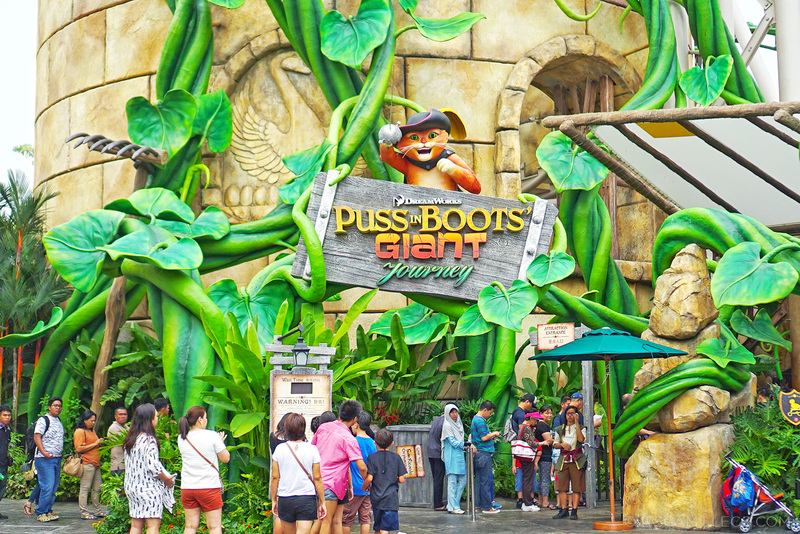 Together with the new and improved Battlestar Gallactica, another highlight of USS’ 5th anniversary celebration is the launch of one more new ride–Puss In Boots’ Giant Journey. 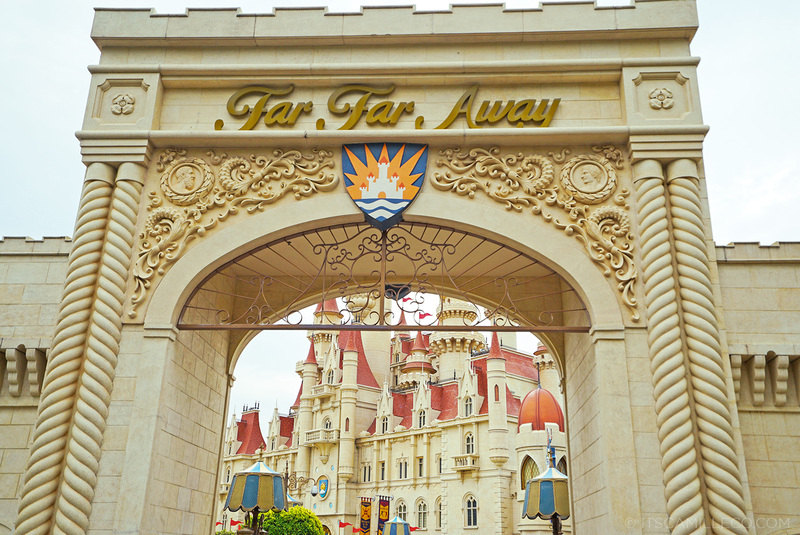 Located at the Far Far Away themed zone, it’s the world’s first suspended roller coaster themed after the franchise. 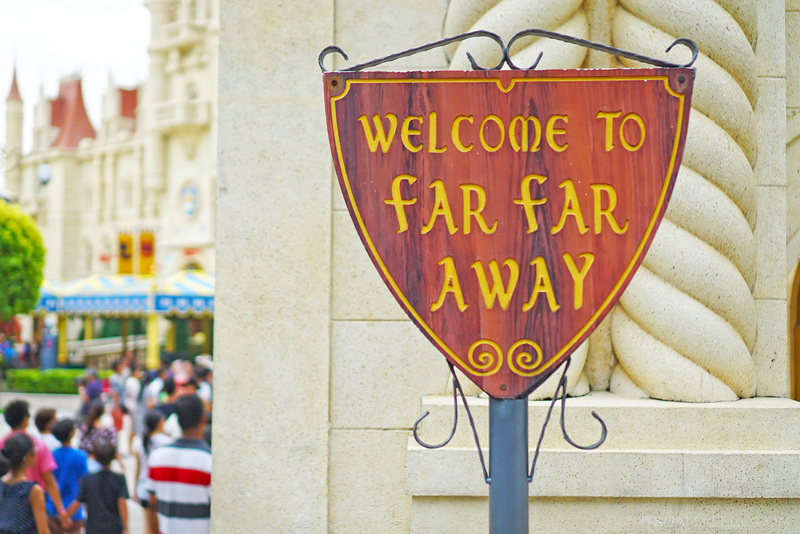 This means you won’t find this ride anywhere else! Basically, guests embark on a journey with Puss In Boots and Kitty Softpaws as they search for legendary golden eggs onboard one of Humpty Alexander Dumpty’s flying machine to save San Ricardo’s Orphanage. 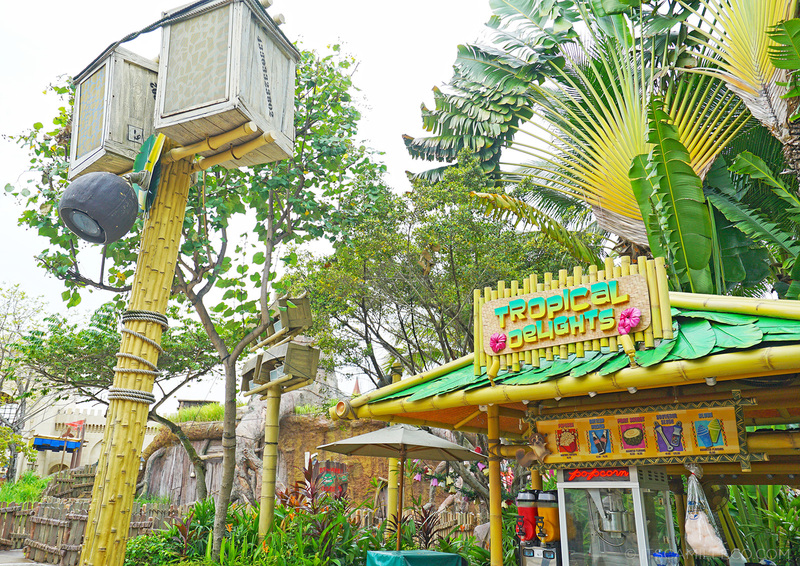 It’s a fun roller coaster ride that’s perfect for the entire family so if you’re heart can’t take Battlestar Gallactica, you should definitely try this out! I certainly liked it because I felt like a kid again. 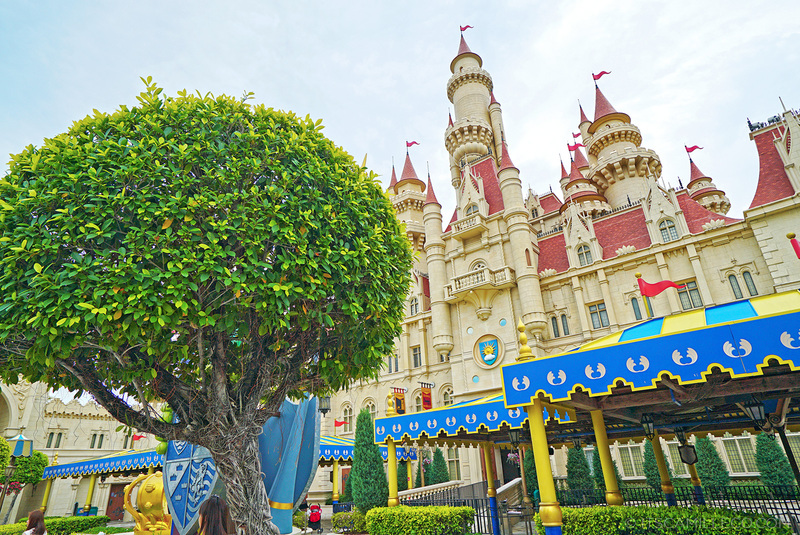 If you’re not a fan of rollercoasters at all, I’m sure you’ll find something else to enjoy at USS. 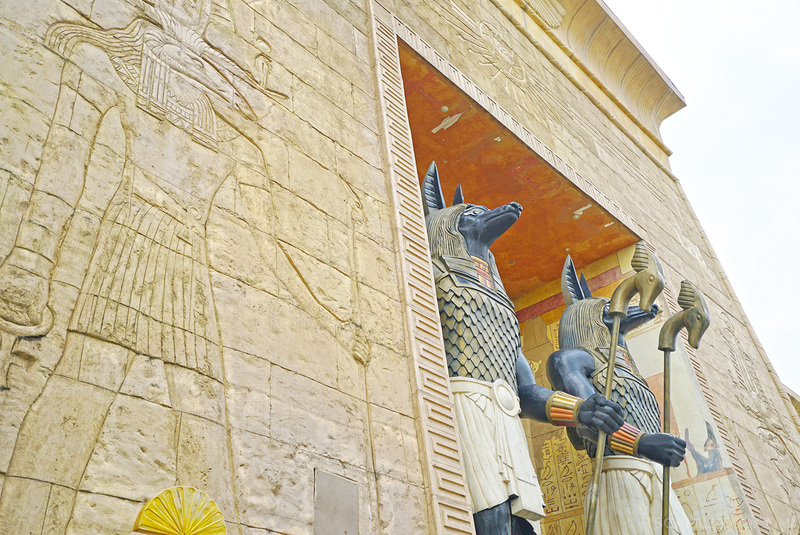 Universal Studios Singapore features 24 rides, shows and attractions in seven themed zones, namely Hollywood, New York, Sci-Fi City, Ancient Egypt, The Lost World, Far Far Away and Madagascar. 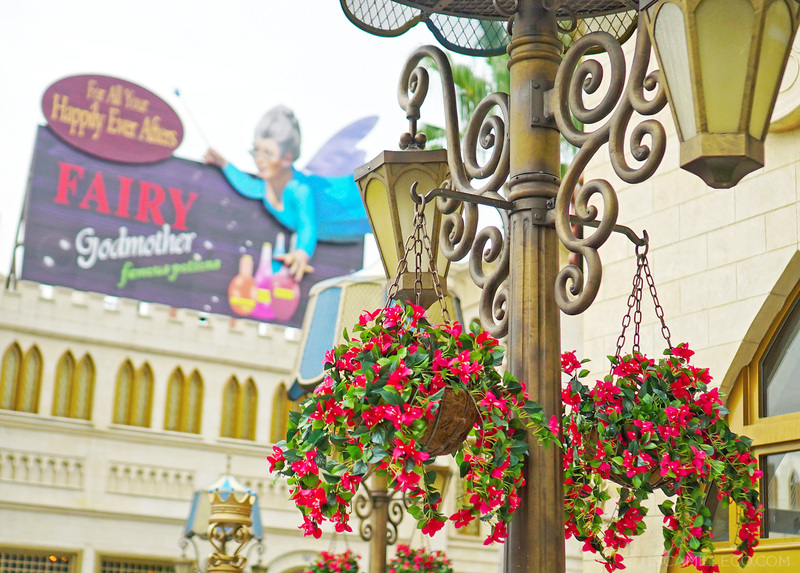 There are tons of things to do here and eye-candy to feast on! And it’s the type of place you wouldn’t mind visiting over and over again. I sure didn’t! 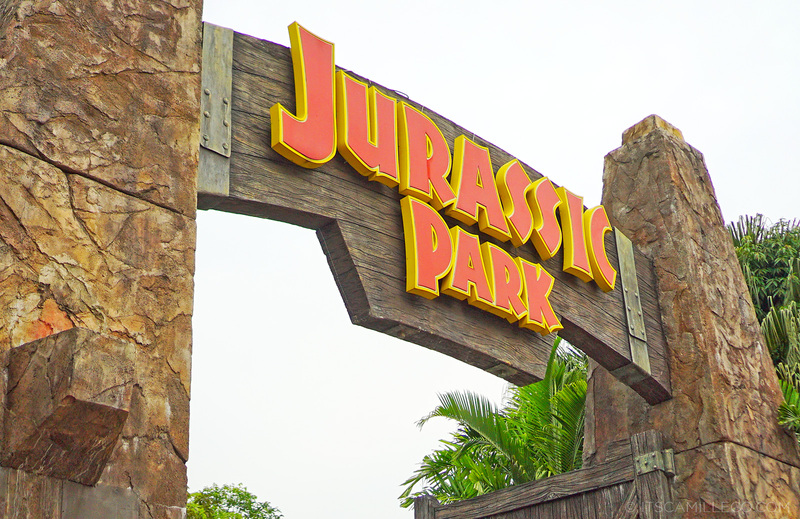 I even made sure to ride some old favorites again like Transformers, Revenge of the Mummy and Jurassic Park Rapids Adventure among many others. 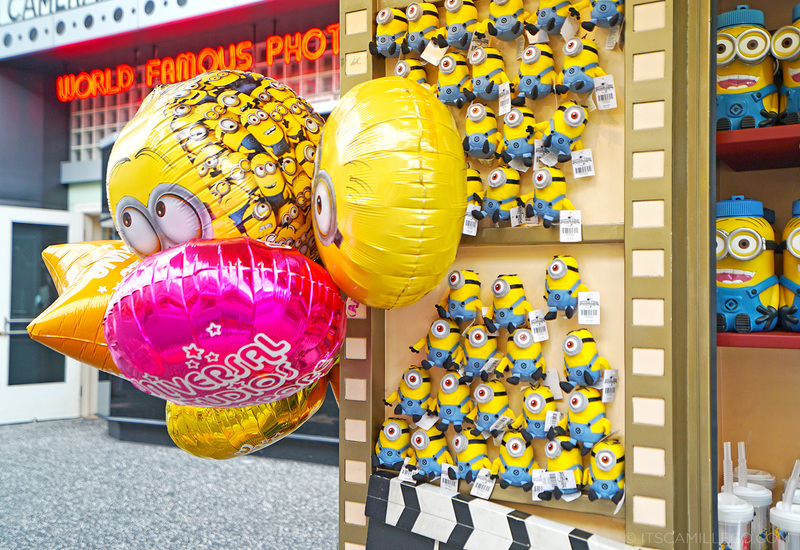 Theme park baby here, through and through! Can i know wat is the brand of your shoes? Can i know wat kind of shoe and bag ur wearing? by the way, can I know what camera you’re using? bec.it’s super HD and I love it! I am a super huge fan of rollercoasters! Serve me some adrenaline please. Haha! 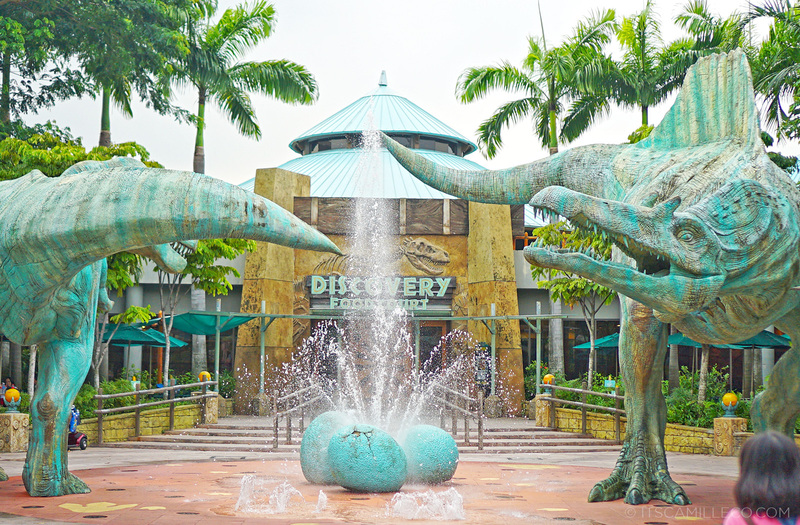 This post makes me want to visit USS even more. You must!!!! Battlestar is awesome! LOL! I don’t think my charm worked on him. Haha! Haha I LOVE rollercoasters :D They’re so fun, and all of the rides you went on sound like such a treat! I feel bad for your friend though (my best friend is like that too, so I feel bad for her whenever we go to theme parks because they seem bored when we go on rides). 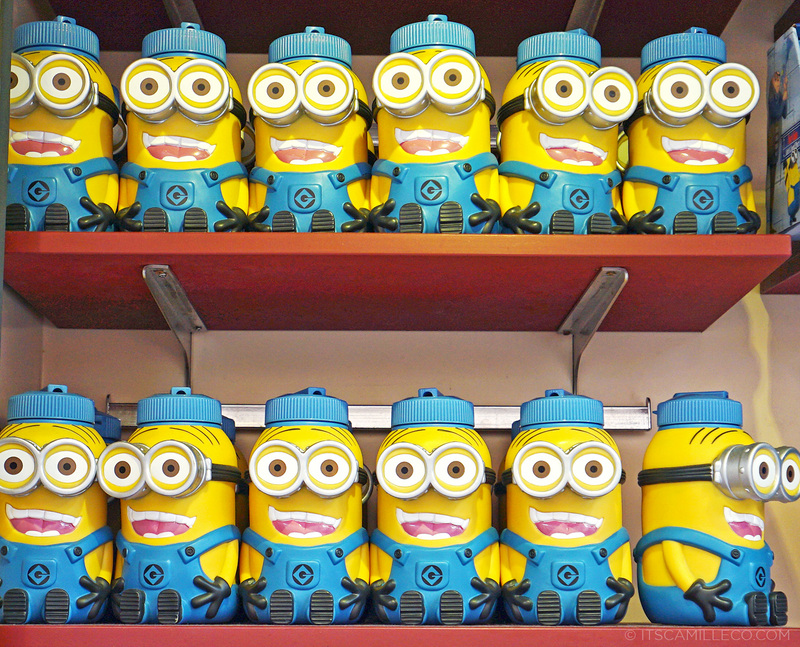 And so many minions <3 My favorite! They're so cute! 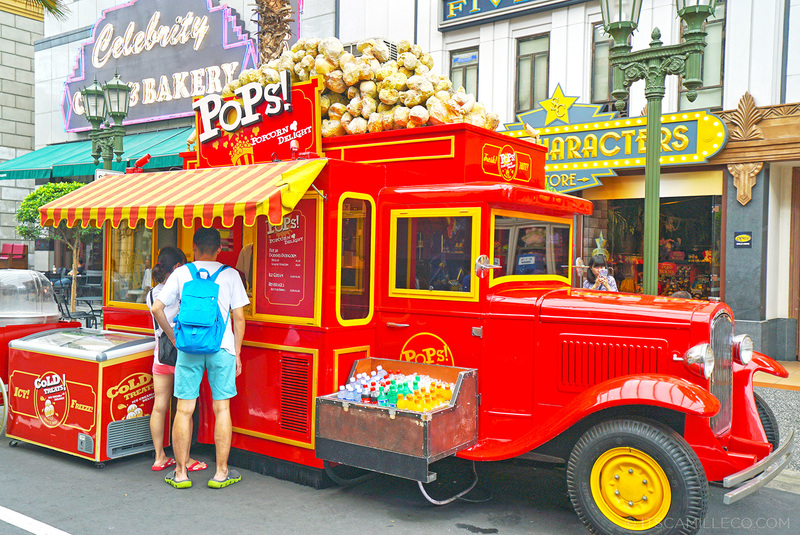 I was still so young then last time I visited Universal Studios in LA! 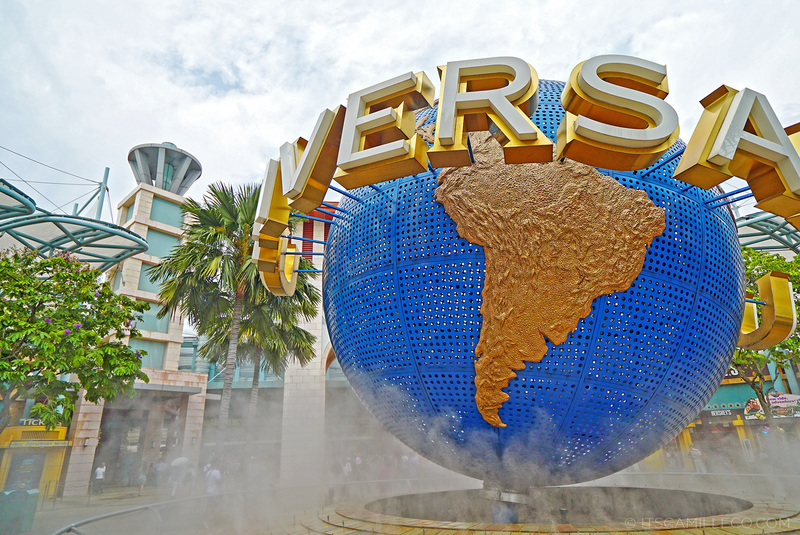 If you happen to be in Asia, try USS or USJ!! !